Nine private residences and a boutique hotel with 29 rooms makes this property an intimate enclave in the heart of Jerusalem. Each residence is being constructed with the highest quality materials and finished to the highest standards. 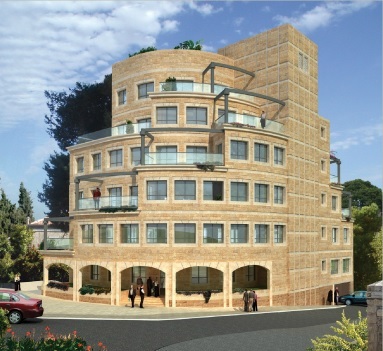 Spacious 2, 3 & 4 bedroom luxury apartments with Succah balconies. 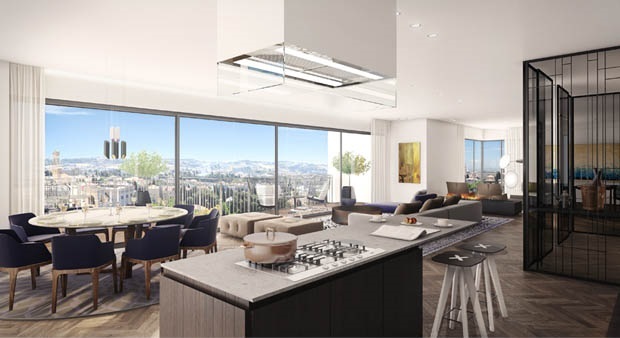 A luxurious complex located at Jaffo 103 near Machane Yehuda Shuk featuring an impressive residential tower with spectacular views and a boutique hotel. 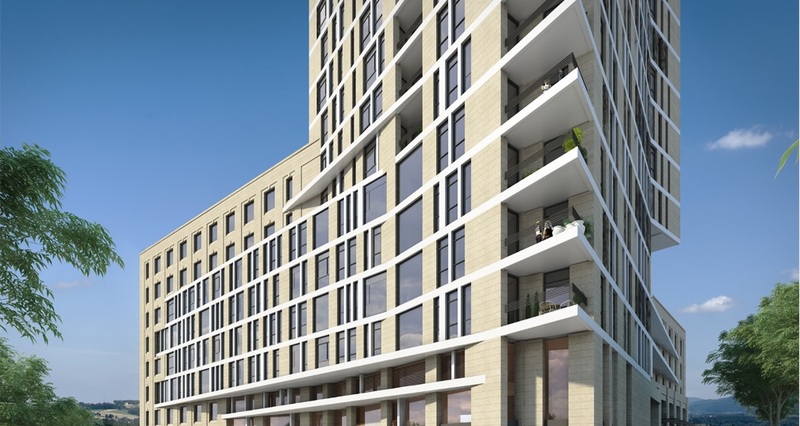 The remaining 3, 4, 5 & 6 bedroom apartments are designed with an exceptional living experience – a wide variety of floor plans, impressive specifications, and the very highest residential standard in the reinvigorated, bustling environment of the city center. In one of Jerusalem’s most impressive, enchanting spots opposite the majestic walls of Jerusalem’s Old City and a short walk from the revered Western Wall (HaKotel) is the exceptional King David Residence. Select from 2, 3 & 4 bedroom luxury residences. A distinctive gated-community offering elegant, high-quality living in a perfect environment. Six 5-story buildings featuring only two spacious 3 bedroom apartments per floor, plus a deluxe top-floor penthouse. 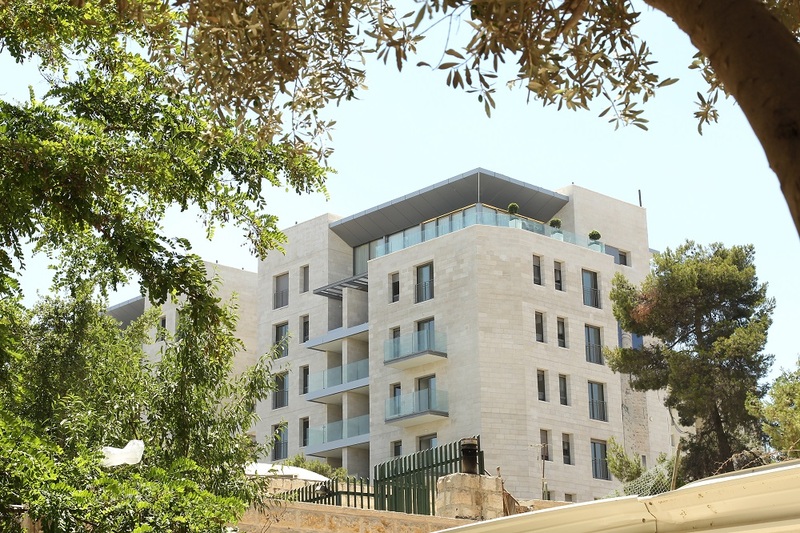 A distinctive,luxury project that combines state-of-the-art design with the art of urban restoration, enhancing the ambiance of Jerusalem’s newly-restored Hanevi’im Street. A 7 story structure with a variety of meticulously designed apartments, ranging in size from 1 to 4 bedrooms, as well as several spacious penthouses. Arza Motza Illit is the first gated community in the Jerusalem suburb of Motza located just outside Jerusalem along the Jerusalem / Tel Aviv Highway (Route 1). 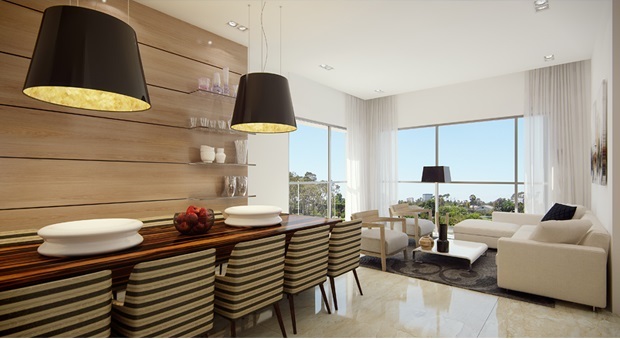 This project offers breathtaking, spacious garden apartments, penthouses and mini-penthouses with luxury features. Two residential complexes of three story buildings with two spacious luxury apartments on each story. 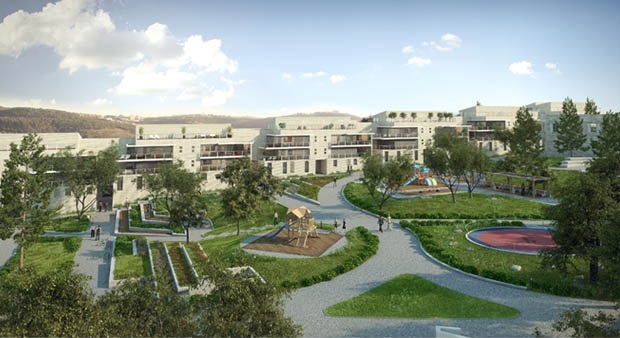 On the whole, the project will include 91 comfortable apartments with the most beautiful views that the Jerusalem Mountains can offer.